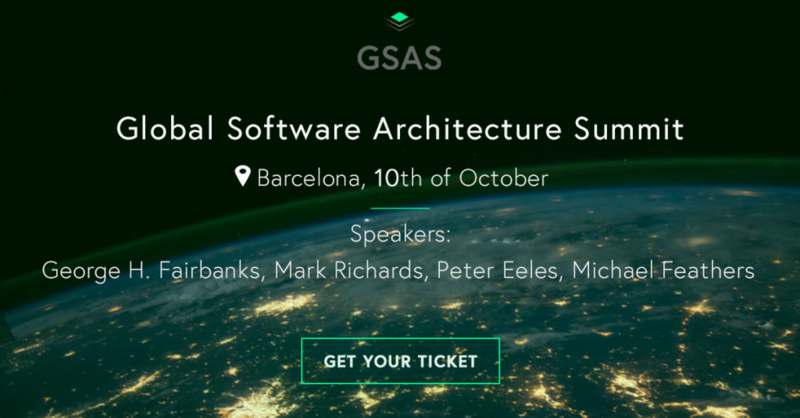 2019 has become a remarkable year for Apiumhub; new office, Apium Academy, Open Source Projects, software architecture meetups, cool innovative projects and… we can’t wait to share with you guys that the Apiumhub team is organizing the Global Software Architecture Summit (GSAS) 10th of October in Barcelona. 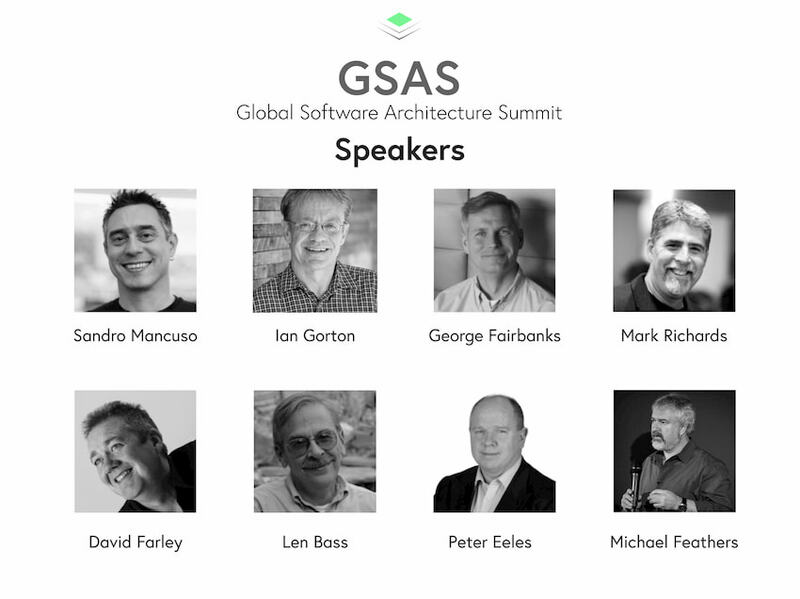 GSAS is a one day summit which aims to connect software architects from all over the world as well as all those software experts who build working software and want to improve their skills, share knowledge, and connect with like-minded people. We expect to welcome 300 software architects, who are passionate about useful, well designed, maintainable and scalable software. The idea is to make this event as interactive as possible, where attendees could participate in discussions as well. There will be technical talks by leading software architects from USA, UK & Spain, panel discussions and debates! Write and sign the leading software architecture manifesto for the next generation of developers and software architects in 4 years. Grow the software architecture community, focusing on best practices, innovation, working software and practical solutions for current issues. Working software over number of features. A hunger for continuous learning & improvement over repetitive standards. Michael Feathers is the Founder and Director of R7K Research & Conveyance, a company specializing in software and organization design. Prior to forming R7K, Michael was the Chief Scientist of Obtiva and a consultant with Object Mentor International. Over the past 20 years he has consulted with hundreds of organizations, supporting them with general software design issues, process change and code revitalization. He is a frequent presenter at national and international conferences. 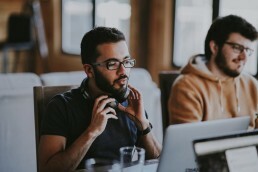 He was involved in the early Agile movement and one of his passions is helping organizations recognize the impact of their internal organization and communication on the long term viability of their software products – putting interactions in place to prevent the accumulation of technical debt and lost business opportunities. His goal is to make software development more effective and integrated with business concerns. He is the author of the books: Working Effectively with Legacy Code, Brutal Refactoring: More Working Effectively with Legacy Code. His main specialties are software development practices, TDD, Refactoring, Legacy Code Revitalization and team dynamics. Mark Richards is an experienced, hands-on software architect involved in the architecture, design, and implementation of microservices architectures, service-oriented architectures, and distributed systems. He has been in the software industry since 1983 and has significant experience and expertise in application, integration, and enterprise architecture. Mark is the founder of DeveloperToArchitect.com, a free resource website devoted to helping developers in the journey to software architect. He is the author of numerous technical books and videos from O’Reilly, including several books on Microservices, the Software Architecture Fundamentals video series, Enterprise Messaging video series, Java Message Service, 2nd Edition, and a contributing author to 97 Things Every Software Architect Should Know. Mark has a master’s degree in computer science and numerous architect and developer certifications from IBM, Sun, The Open Group, and Oracle. Mark has spoken at hundreds of conferences and user groups around the world on a variety of enterprise-related technical topics. George Fairbanks is a software developer, consultant, educator, and speaker who’s been developing software since the mid-80’s and teaching software design since the late 1990’s. He’s got a PhD in Software Engineering from Carnegie Mellon University, advised by David Garlan and Bill Scherlis. He has publications on frameworks and software architecture in selective academic conferences, including OOPSLA and ICSE. George has written production code for telephone switches, plugins for the Eclipse IDE, and everything for his own web dot-com startup. He’s currently a software engineer at Google. George wrote the book Just Enough Software Architecture and it’s been reviewed well. He’s also been a program committee member for the Working International Conference on Software Architecture (WICSA), the International Conference on Software Maintenance (ICSM), and the European Conference on Software Architecture (ECSA). He’s been a referee for IEEE Transactions on Software Engineering (TSE) and IEEE Software. Peter Eeles is an Executive IT Architect in IBM Cloud’s Expert Lab for Cloud Adoption and Transformation, where he helps organizations improve their IT delivery capability, as part of a broader cloud transformation, in order to drive tangible business value. He has a particular interest in the adoption of Architecture, Agile, DevOps and Cloud as innovation enablers. In the IT industry since 1985, Peter comes from a delivery background and was previously Chief Architect of IBM Rational’s Worldwide Solution Delivery organization where he led many large-scale transformations in a variety of industries. Peter has written many papers and several books, including The Process of Software Architecting (2009), Building J2EE Applications with the Rational Unified Process (2002), and Building Business Objects (1998). Software craftsman, author, and founder of the London Software Craftsmanship Community (LSCC), Sandro Mancuso has been coding since a very young age but only started his professional career in 1996. He has worked for startups, software houses, product companies, international consultancy companies, and investment banks. During his career Sandro had the opportunity to work in a good variety of projects, with different languages, technologies, and across many different industries. Sandro has a lot of experience in bringing the Software Craftsmanship ideology and Extreme Programming practices to organisations of all sizes. Sandro is internationally renowned for his work on evolving and spreading Software Craftsmanship and is frequently invited to speak in many conferences around the world. His professional aspiration is to raise the bar of the software industry by helping developers become better at and care more about their craft. Len Bass is an award-winning author who has lectured widely around the world. His books on software architecture are standards. His book on DevOps is, in the words of an Amazon reviewer, “the first DevOps book that shows a realistic and achievable view of the full implementation of DevOps.” He has just published a book with John Klein titled Deployment and Operations for Software Engineers. Len has over 50 years’ experience in software development, 25 of those at the Software Engineering Institute of Carnegie Mellon. He also worked for three years at NICTA in Australia and is currently an adjunct faculty member at Carnegie Mellon University, where he teaches a course in DevOps. He is co-author of the Jolt-award winning book ‘Continuous Delivery’, a regular conference speaker and blogger and one of the authors of the Reactive Manifesto. Dave has been having fun with computers for over 30 years and has worked on most types of software, from firmware, through tinkering with operating systems and device drivers, to writing games and commercial applications of all shapes and sizes. He started working in large scale distributed systems more than 25 years ago, doing research into the development of loose-coupled, message-based systems – a forerunner of MicroService architectures. Dave is the former Head of Software development at LMAX Ltd, home of the OSS Disruptor, a company that is well known for the excellence of their code and the exemplary nature of their development process. Juan Manuel is CTO and co-founder of Habla Computing. He has been using Scala and functional programming for the last eight years in real-world applications for the banking sector, and has extensive experience in consultancy projects with Scalaz, Cats, and other frameworks of the Scala ecosystem. He founded and manages the Madrid Scala Meetup group and is member of the organizing committee of lambda.world, the premier Spanish conference of functional programming for the software practitioner. Prior to joining Habla Computing, Juan Manuel was a University teacher for more than fifteen years in different computer science and software engineering degrees. Christian Ciceri began his professional career with a specific interest in Object Oriented design issues, with deep studies in code-level and architectural-level design patterns and techniques. He has been one of the former practitioner of Agile Methodologies, particularly eXtreme Programming with a great experience in TDD, Continuous Integration, build pipelines and evolutionary design. He has always been aiming at a wide-spread technological knowledge, that’s why he has been exploring a huge amount of technologies and architectural styles. Right now, Christian Ciceri is a Software Architect & co-founder at Apiumhub. His vision of architecture goes beyond the “power-point” architecture. He believes that an architect should be capable of switching between high-level and low-level aspects in a natural, quick and continuous way. As he says; “a software architect should create a working ecosystems that allows teams to have a scalable, predictable and cheaper production”. Álvaro García is a principal engineer who believes in Extreme Programming methodology. 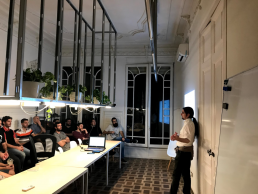 He’s embarked on a lifelong learning process and is now a co-organizer of Barcelona Software Craftsmanship meetups and events. 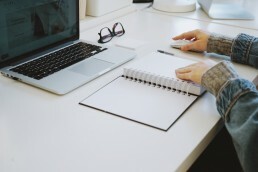 He enjoys reading and reviewing technology books, providing feedback to the author whenever possible, to create the best experience for the final reader. Alvaro has been working in the IT industry for product companies, consulting firms and on his own since 2005 and occasionally publishes articles on his blog. 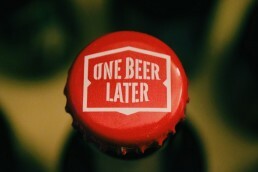 Software architecture evolution; what to expect? Stay tuned for the full Global Software Architecture Summit schedule! -> Subscribe to GSAS newsletter here. The Global Software Architecture Summit will be held in Alimara Hotel. 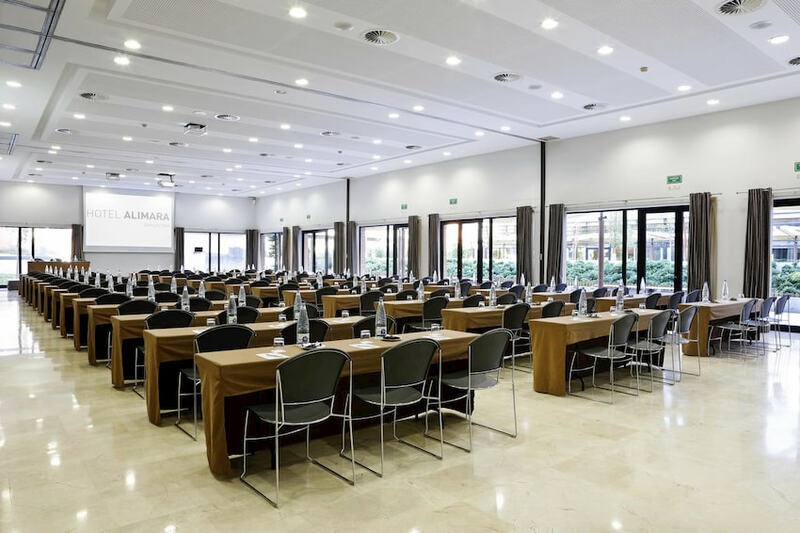 Excellent summit rooms, delicious catering and beautiful garden to enjoy Barcelona’s weather and connect with other software architecture enthusiasts. Right now we have Early Birds Tickets. To buy them, just click here. If you are interested in meeting software architecture influencers from all over the world, this is a great opportunity to participate in a Global Software Architecture Summit and to support the software architecture community. Immerse yourself in software architecture! Request sponsorship information here. We are very excited about making Global Software Architecture Summit happen and contribute to the software architecture community! Visit the GSAS website to know more about it!